The conditions required to take this photo occur only once every 15 years… so mark your calendar for 2024, when the next sighting opportunity arises! But the rings are not only places of turbulence and destruction: Cassini recently captured this image of the birth of a new moon amid the debris. 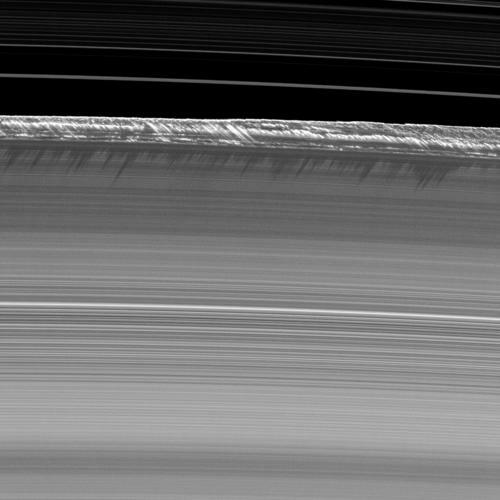 Saturn’s rings may be beautiful, but they certainly aren’t passive …and to fully understand their dynamics, we must understand the physics of ice! 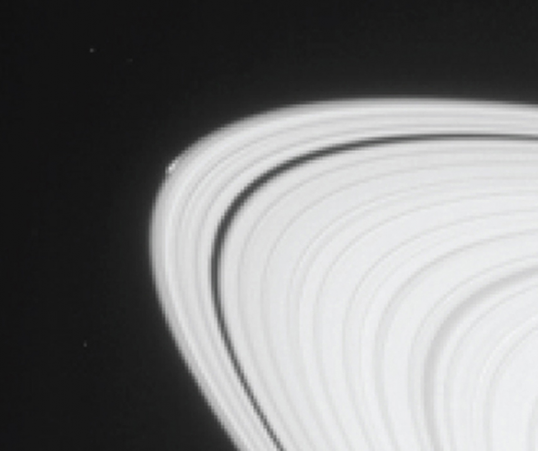 For more cool images (pun intended), check out the Cassini Mission’s website.